Christmas is just around the corner. Do you realize that as of November 30 there is only roughly three weeks left to finish the Christmas shopping unless you’re the kind of shopper who waits until the last minute? Are you still looking for that last minute gift for your spouse, an aging relative, or your adult child who just moved into their new home? 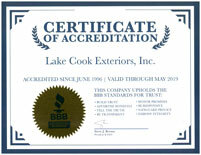 We’re proud to announce that we’re now offering gift certificates here at Lake Cook Exteriors! Here’s a list of home improvement items to consider as Christmas gifts. Guttering – Water is extremely damaging to homes and landscaping. Poorly installed or damaged guttering puts the home at risk for water damage including insects, mold, mildew, and wood rot. A properly installed guttering system redirects water away from the house and lawn, and assists in your home maintenance routine. Windows – Efficient windows help keep our homes warm during the winter and cool during the summer. 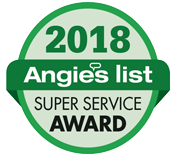 They are the perfect gift idea for someone who is planning a home improvement project in the coming months and would appreciate a gift certificate that covers a portion of the price. Consider our exclusive promotion on Simonton Reflections 5500 with free triple pane option, only available through November 30. Entry Doors – The entry door makes a big difference in the appearance, security, and efficiency of the home. We have a lovely variety of Therma Tru entry doors in our showroom. The average timeframe you can expect for installation of our Therma Tru entry doors is roughly eight weeks. That’s perfect for a December order and early spring installation. Surrounds – The entry door deserves a lovely setting that creates an amazing entryway to the home. Surrounds are often painted the same color as the door to increase appeal and create a grand appearance. Patio Doors – Save now on patio doors that will be installed in the spring months. 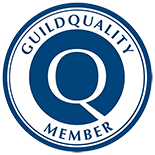 December and January are the perfect months to order your doors from us and have them installed by the time the beautiful spring weather rolls around. A lot of people question our motives, but it’s really pretty simple. Many of us have purchased a new dishwasher or some other appliance as a gift for a beloved relative. Our products are extremely high quality and very affordable. Those of us who enjoy receiving home improvement gifts and gift cards can truly appreciate the idea of a Lake Cook Exteriors Gift Certificate. How often have you told your aging relative or adult child that you wished there was something you could do to help with their old drafty windows or their old entry door, but they’re too proud to accept what they consider a handout? Now you can effectively help out while presenting it as a Christmas gift. We would love to show you the window, door, siding, and guttering options available in our showroom. We’ll help you choose the best gift and schedule an installation date before you leave. Our showroom is located at 50 East Palatine Road in Palatine, IL. Or you can call us at 847-991-9180.